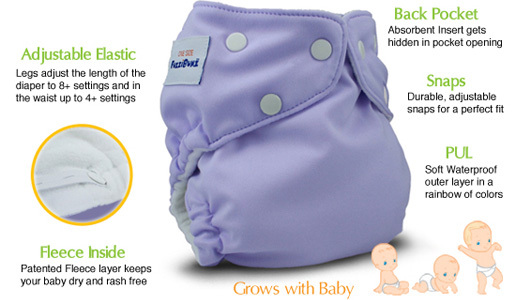 If you have babies or grandbabies, you need cloth baby diapers in your long-term storage. During an emergency, you don’t want to run out of diapers. That would be stressful. A big part of your baby’s hygiene can be taken care of with these natural diapers. I’ve been changing diapers for the last 18 years, so this has been something that’s been on my mind when it comes to emergency preparedness. As I’ve talked to people that are using FuzziBunz®, they say they don’t want to go back to disposables. Their babies don’t get diaper rash like they did with disposables, and FuzziBunz® are so easy to use. Using cloth baby diapers is my newest provident living adventure. I wanted to see how they work. I really like these diapers as an alternative to using disposable diapers. There is a one-time up-front cost to buying FuzziBunz®, but after that, you never have to think about buying diapers again! The waterproof outer barrier keeps wetness contained. The soft microfleece inner layer gently touches your baby’s skin, pulling away moisture and keeping your baby rash-free, dry, and comfortable. The microfleece is made of 100% Polyester and is custom-milled. The unique, patented pocket-style opening enables you to customize the absorbency to fit your baby needs. Stuff the pocket with inserts, a pre-fold, or even a hand towel! The FuzziBunz® One-Size Diapers are the most adjustable and innovative one-size cloth diapers on the market today! Adjust the diapers to fit babies 7-35 pounds and get a snug fit every time with the button-adjusted waist and leg casings. The leg casings adjust to 8+ settings and the waist adjusts to 4+ settings. Never before has a pocket-style cloth diaper been SO adjustable! If you use the One-Size Diapers now, you’ll save money by not having to buy new cloth diapers as your baby grows. If you are saving these diapers for an emergency, you’ll have just the right size. How do you know how big the baby will be when a crisis hits? Here’s the dilemma. You can’t use cotton in an extreme cold weather diaper. The baby would freeze. But cotton is great at absorbing and holding the moisture. Synthetic materials wick the moisture away from the body and are used in cold weather clothing. Synthetic materials don’t hold moisture. Can you see the dilemma? I’ve thought about this over the last two years. What can be done? The one material that can get wet, hold moisture, and still keep you warm is wool. I’ve bought some wool soakers but they are over $40 a piece, and they don’t have some of the other features that I was looking for in a cloth diaper. When I saw the FuzziBunz® diapers, the idea came to create a wool insert that you would use during an extreme cold weather emergency. You could cut up an old wool sweater or wool blanket and use it for an insert. The fleece lining would keep the moisture and scratchy wool away from your baby’s skin. The wool inserts would absorb the moisture and keep your baby warm. Grandma, this is a great birthday or Christmas present for those little grandbabies. 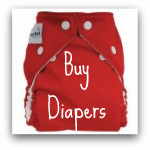 Buy diapers for as low as $16.50 with our package deals. These are fabulous. They do a much better job than disposable wipes and don't irritate the baby's skin. No more diaper rash! I've been using cloth baby wipes for the three years and love them! One Wonder Wipe will do the job. There's no need to use several disposable baby wipes for one messy diaper.